At Nadia’s House Cleaning, our house cleaning, housekeeping and maid services range from weekly, biweekly, monthly, one time, special event cleaning, move in and move out cleaning, construction clean up and more. We will bring in a team of cleaners and clean your home or apartment exactly the way you wish, customizing the cleaning to fit your budget and needs. 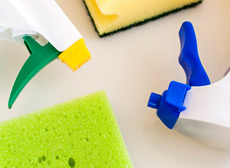 Routine house cleaning once a week or at least every other week is the best way to protect your family’s health and your valuable investments in carpet and flooring, appliances and home furnishings. With each maid service visit, Nadia’s House Cleaning will leave you with a clean house as well as a few extra hours a week to enjoy as you please. 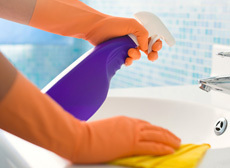 Maid service every month is a great option for the neat and tidy or the budget minded consumer. Monthly service can help prevent grease and grime from accumulating. And each monthly house cleaning leaves your home sparking clean and reduces the time needed to clean during the rest of the month. 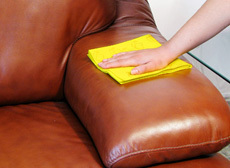 We offer one time and special event cleaning services too. 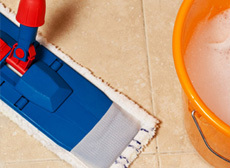 Do you need help cleaning your house before a party or after or both? Nadia’s House Cleaning can help you with your one time or special event cleaning needs, allowing you to free up your time to enjoy your special occasions. We all know that moving can be stressful. Whether you are buying, selling, renting or leasing a residential or commercial space, you want it to be spotless and you have a lot of other things to think about. Whether you need to leave a good impression for the old landlord or owner, are trying to get a security deposit back or you need your new property cleaned before you move in, Nadia’s House Cleaning can offer the professional help you need. Are you trying to meet a deadline and don’t have time for the clean up yourself? Call Nadia’s House Cleaning and we will coordinate your site cleaning support needs to be done either all at one time or in phases as the construction work progresses. We will help to get your newly completed building or remodel project turn key ready and looking outstanding.